As you can see, my hair has changed again. (Laughs) I decided to speed up my hair growth process by putting some braids in my hair and have something manageable than would not consume my time. These last couple of weeks I have been finishing my summer classes, getting ready to transfer to another college for good until I graduate, get my Bachelor’s degree in Fashion Merchandising. SO focus and determine to have enough credits to transfer, I did not let anything get in my way. 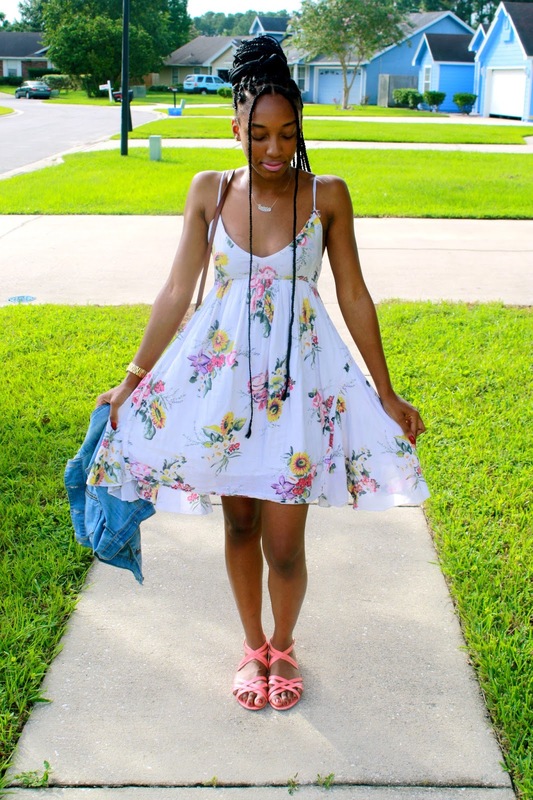 So to wrap up summer (yells) I decided that this old remade vintage dress would be perfect for a post. H&M sandals. Coach purse. Michael Kors watch. DIY denim vest. Vintage dress.